Disaster Welfare and Support teams in the Waikato and Bay of Plenty have been busy, distributing Grab and Go packs and checking in on households in flood-affected areas. 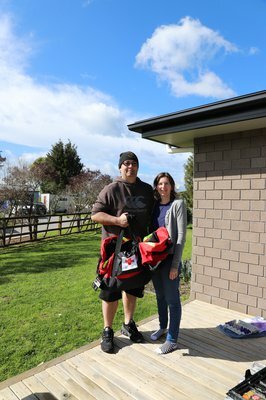 In just a few weeks the Disaster Welfare and Support Teams from Hamilton, Rotorua and Tauranga have reached more than 300 homes and have given over 450 preparedness packs. The packs contain emergency preparedness items including a first aid kit, emergency blankets, matches, water bottles and ponchos. We are always looking for keen people to get involved with their local Disaster Welfare Support Team. Find out more about our volunteer opportunities here.